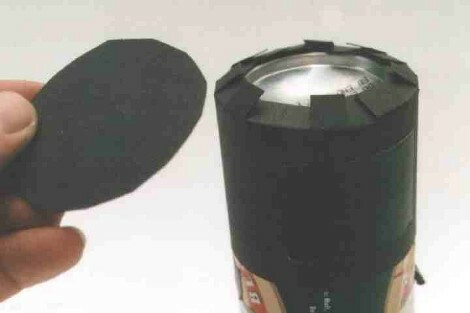 When [Justin Quinnell] sent in his beer can pinhole camera, we were just floored. The parts are easy to obtain, and the process for building and ‘shooting’ with the camera are near effortless. The really impressive part of this hack is letting your camera sit for 6 months facing the sun. 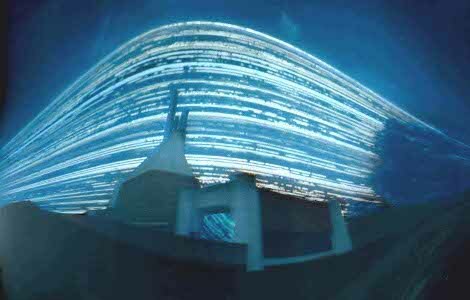 Yes, you read that correct, a 6 month exposure. Check out after the break for one of his astonishing shots, and trust us, its well worth the click. I wonder what would happen if he could process the photo paper before scanning it… Damn cool! wow IMPRESSIVE! the scanning is an awesome idea. Im not sure if ill be living here for another six months but im for sure gonna try messing with some photo paper now. Great work and writeup! I was going to make one, but after finishing the case of beers I forgot. Just drink some soda, alcohol is a hard drug. I don’t get it… Won’t the scanner expose the film before it scans it? I was surprised at how low in the sky the summer solstice is in Britain; I knew Britain is pretty far north but the pictures really brought it into focus. At 39°N (in Ohio) the sun is much closer to overhead on June 21. Ok, this is a REAL hack. Rock on! I’m gonna make a few of these around here. I wonder if there is a way to get the image clearer.. smaller hole maybe. There’s an unfeasibly large quota of win in this – it’s such a simply idea, well executed, and easy to have a go at without having to invest a lot of cash. What kind of film takes 6 months to expose? Even in my pinhole cameras maximum exposure time is 5 min on a cloudy day. I too am curious about running the paper through a scanner. To my mind (which knows very little about photography) it seems that the bright white light on the scanner arm would overexpose the whole sheet. Or is it that the paper is scanned fast enough to record the image before the paper is exposed by the light? I also wonder how many people are going to try this with photo paper… the stuff you run through an inkjet printer to print out your photographs. Ha ha! Must be like ‘ISO 0.1’ or something! Very cool, well worth the shot. Photo paper isn’t like film. The equivalent ISO is around 50 or 40 depending. You would have to check the papers specs for more info. Take that and add in a pinhole with an equivalent f/stop of like 150 or 300 and its totally feasible to have that kind of exposure. I don’t think you could really do this with a digital camera. The sensors get warm after a period of time which causes artifacts. Can anyone enlighten me as to why the sheet isn’t run through a developer and fixer? To everyone wondering about developing/overexposure: yes, the paper is massively overexposed. If you developed it, it would be all black. However, if you overexpose photopaper, the image is visible prior to developing. Also: yes, the light of the scanner degrades the image, so you have to get it right the first time. Not too much stress after waiting six months. Just set up multiple cans for the six month period. Drink the whole pack. It would be interesting to make a similar setup to photograph the path of the moon. You could use a microcontroller with a RTC to control some sort of shutter so that it only exposes at night. Of course, it’s the catholic cathedral in Bristol, I can see it from my roof. …no relation with beer goggles, right? Paper ISO is usually closer to 8. This project is a destructive process and I suggest one does not attached it to a tree or anything that grows. The guy looks to be expanding on Tarja Trygg´s project at http://www.solargraphy.com better explanation too. The other projects on his site have also originated from different female artists.